We’d love your help. 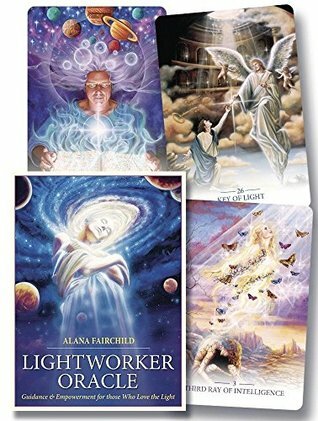 Let us know what’s wrong with this preview of Lightworker Oracle by Alana Fairchild. Follow your inner calling to connect with divine light and higher frequencies of consciousness to bring healing to the world. This oracle deck helps you create a positive contribution to our planet, evolve spiritually, and develop your innate abilities to work with energy through different healing modalities. Lightworker Oracle supports your deeper awakening and encourages Follow your inner calling to connect with divine light and higher frequencies of consciousness to bring healing to the world. This oracle deck helps you create a positive contribution to our planet, evolve spiritually, and develop your innate abilities to work with energy through different healing modalities. Lightworker Oracle supports your deeper awakening and encourages you to fulfill your life purpose. To ask other readers questions about Lightworker Oracle, please sign up.